Our beef is 100% hgp-free and our cattle are fed a customised vegetarian grain ration. But more than these words, what makes Rangers Valley beef so special is the people and passion we have for our animals and commitment to sustainability. People in agriculture have a very strong sense of animal care and preserving the environment for the next generation. 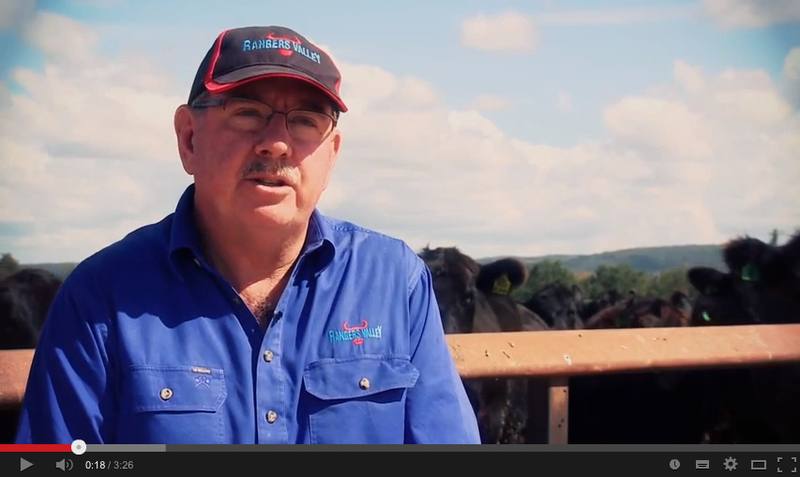 Join our MD Don Mackay in the video below to see some beautiful footage of our homestead and feedlot, plus learn how we produce our internationally praised cool climate, long-fed beef, sustainably. Click the image below to watch the video on YouTube. Previous visitors to our property will see plenty of familiar locations. Go on, take a look!